What Are Common Causes of Pipe Corrosion? It works silently, secretly destroying the very makeup of your home’s plumbing. As a homeowner, it’s important to recognize the threat of corrosion and understand its consequences. Here’s what you need to know about what causes corrosion and how you can monitor for its effects. In terms of plumbing, corrosion is the deterioration of your pipe’s metal interior that occurs after it is exposed to water. Essentially, the pipe begins to disintegrate into the water when certain physical and chemical reactions take place. As a result, the pipe is compromised, and your system can eventually fail. Aside from the actual pipe failure, pipe corrosion poses a number of unfortunate consequences to your household. Blue staining from copper corrosion can ruin sinks, tubs, and fixtures and may even tint laundry and hair. 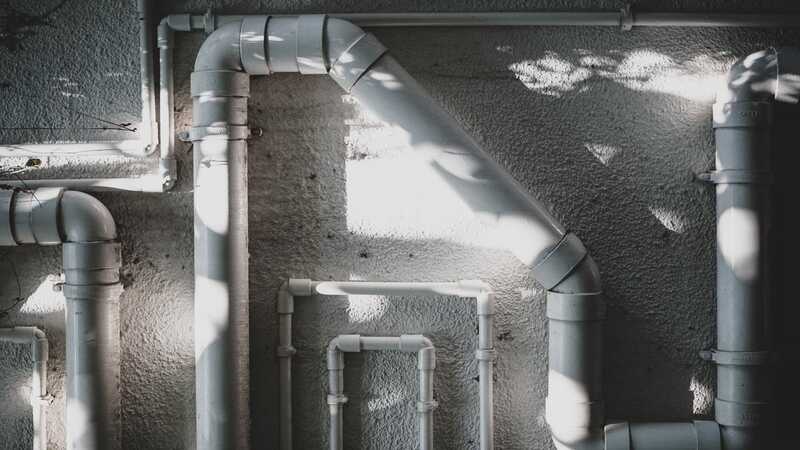 Corroded pipes will almost inevitably cause damage to heaters, appliances, and fixtures and in some cases, may make your water unsafe for drinking. There are several different causes for pipe corrosion, but all of them result in a harmful reaction between your water and piping. If you are concerned that your pipes are corroded, contact your local plumbing expert. If your water has a pH level less than seven, it is acidic and will prematurely corrode your pipes. If you haven’t done so already, test your water’s pH levels to see if your pipes may be at risk. High levels of dissolved oxygen can cause your pipes to corrode. Water with a low pH level is commonly over-oxygenated. Consequently, it’s hitting your pipes with a one-two punch due to its acidic and highly oxygenated condition. Minerals in your water can contribute to the development of corrosion. For example, calcium and sodium can both contribute to an increase of buildup. The temperature of your water can speed up the corrosion process. The hotter the water, the more the pipe will corrode. High water velocity relative to the size of your pipe can also cause corrosion. This is worsened when the water being circulated is high in temperature. Microbiologically influenced corrosion (MIC) can cause your pipes to fail in just a few years. Bacterial corrosion is caused by microorganisms—like sulfate or iron bacteria—in your water. Sand, grit, and sediment in your water can cause corrosion via hydraulic wear. Picture a high-powered sander working on the inside of your pipes; this is essentially what sediment accomplishes. How can I prevent or repair corroded pipes? Homes that are more than 25 years old are susceptible to corrosion and should be monitored for warning signs. Inspect exposed pipes for stains, discoloration, dimpling, and flaking. Monitor for leaks, and be aware of the smell, pressure, and color of your water. If you notice any unusual conditions, contact a plumbing professional. An expert can asses your situation and determine the best plan of action for your home. In some cases, pipe replacement, the use of a water softener, or a reverse-osmosis unit may be needed to prevent or control corrosion. If you need reliable plumbing services in the Roaring Fork Valley area, contact the experts at Pacific Sheet Metal. Our fully licensed, bonded, and insured plumbers are available 24 hours a day, 7 days a week. Whether you’re concerned about corrosion or need an emergency repair, we’ve got you covered.